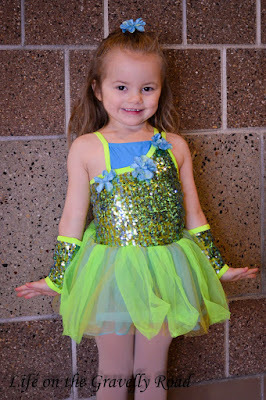 Saturday was her first dance recital. She was so excited and did so well. Here's her big smile to share. Just another first in our Life on the Gravelly Road.